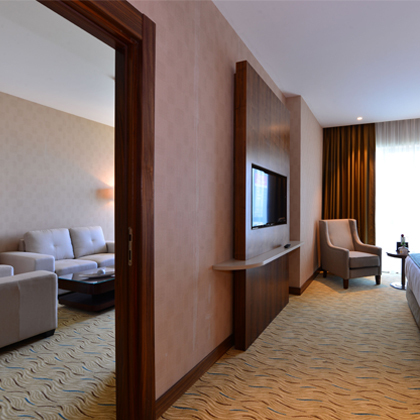 All of the rooms in Clarion Hotel İstanbul Mahmutbey are elaborated to ensure an environment which makes our guests feel so special and experience the luxury at utmost level. are standing beyond expectations remarking their enormously modern and pleasant designs. 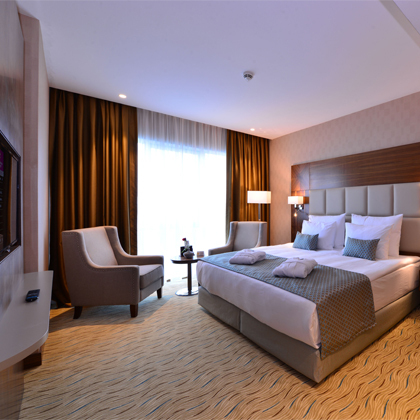 Overall 237 rooms feature with single beds or double bed, 28 m², 40 inches LED TV, wall to wall carpet, private shower and WC, Hair dryer, Coffee-Tea maker, Laptop sized safety deposit box, cable-wireless internet access, USB charging on plug sockets, minibar, work desk and a chair.